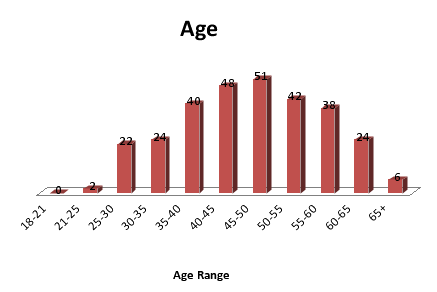 The majority of respondents were employed in the OH&S career field for 7-35 years. 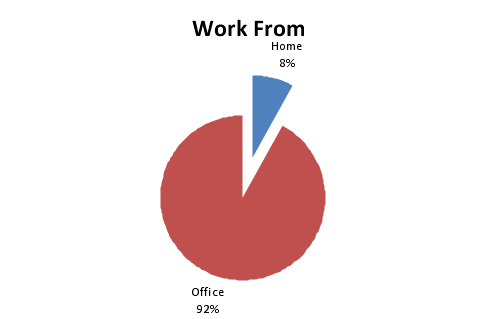 With most working from an office. 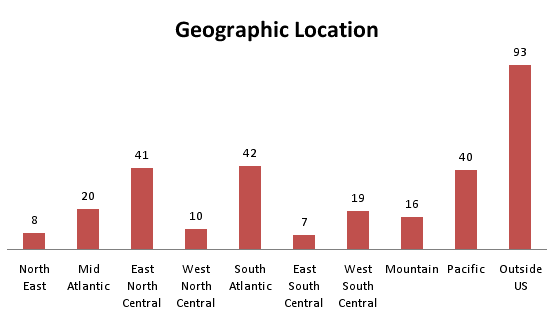 Geographically, 69% of the respondents were from the US. 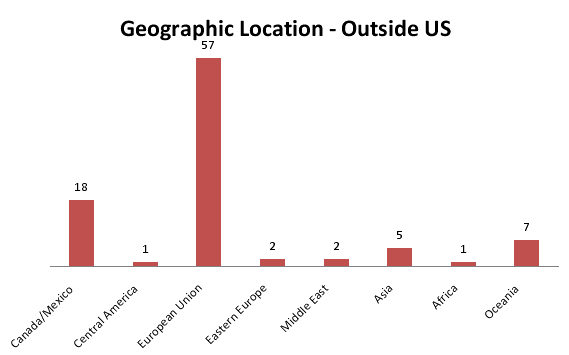 And those respondents outside the US were primarily from the EU. Studying for the Certified Industrial Hygienist (CIH) Exam? Check out OHShub.com’s Bookstore for Study Materials. 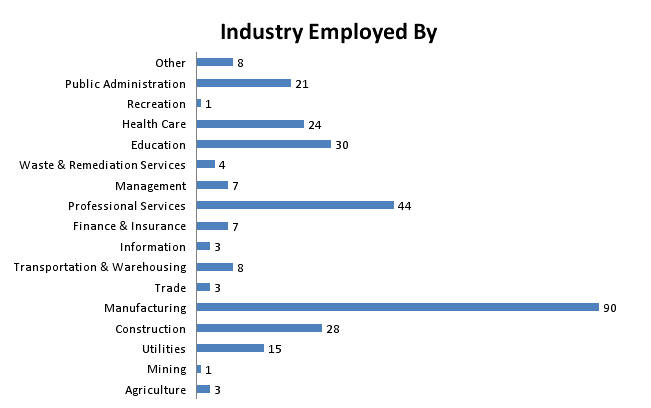 Respondents worked in a variety of industries, primarily manufacturing. With companies being primarily privately owned. 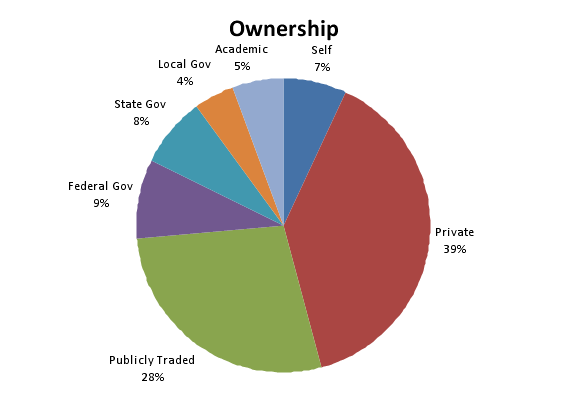 Self ownership represented 7% of the respondents. 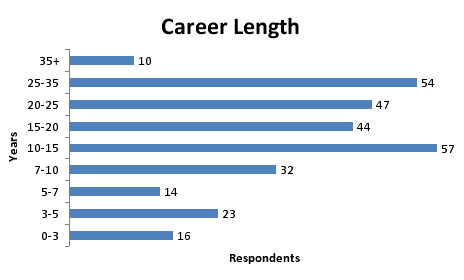 Respondents were well certified, with 254 certifications being held by the 297 respondents. 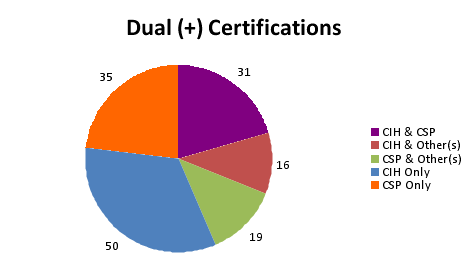 Nearly 50% of the respondents did not hold a certification. 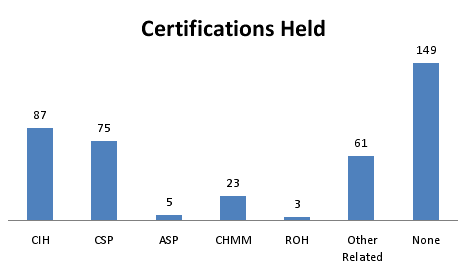 Dual certifications were also numerous, with 31 respondents holding the CIH and CSP designation, 16 holding the CIH and some other designation, and 19 holding the CSP and some other designation. Note: Individuals that do not hold a dual certification (i.e. 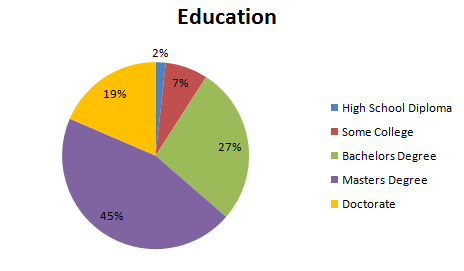 CIH or CSP only) are also represented in this chart. 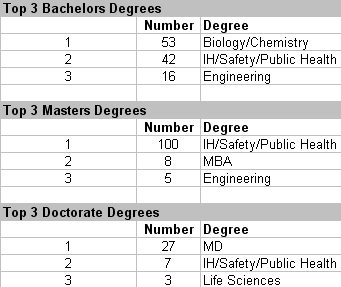 OH&S Professionals are well educated, with 91% of respondents hold a college degree. 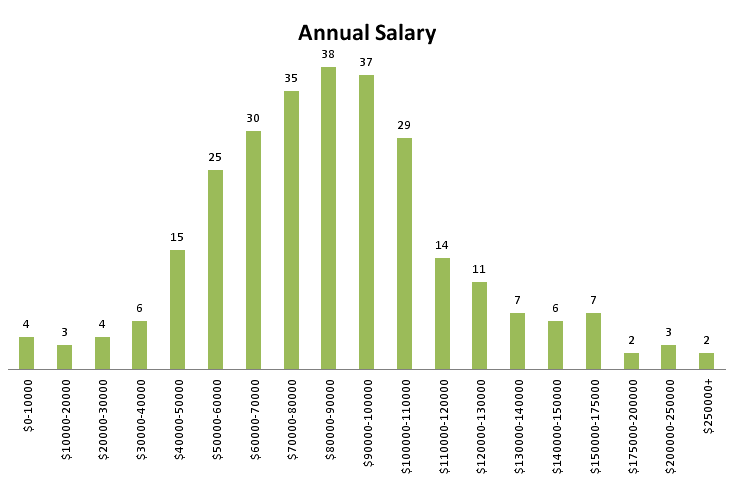 Salaries can be further broken down by the following certifications obtained and career lengths. 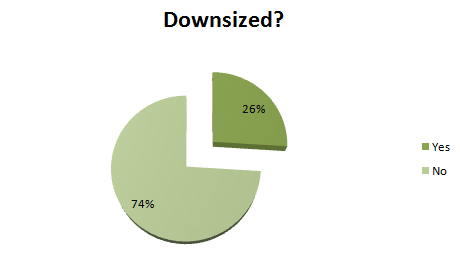 Over a quarter of the respondent’s companies had experienced some sort of downsizing in the OH&S departments, with typical cutbacks of 10-15%. It should be noted that the results are only as good as the information received. 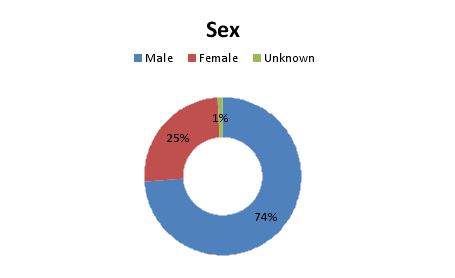 OHShub.com does not maintain any identifying information for the respondents nor was any attempt made to verify the information received. Results from this survey may not be reproduced in any manner without the explicit written consent of OHShub.com.